Tiny Grenada has found an innovative way to cut through a sovereign debt wrangle. The Caribbean island state, notable for little other than a U.S. military invasion in the 1980s and nutmeg exports, is close to signing off on an unusual debt restructuring. It could be a decent model for Ukraine—or even Greece. Grenada has been struggling with weak growth and the damage wrought by hurricanes in 1994, which pushed debt to 111 percent of GDP last year. For two years, it has been trying to force investors in $193 million of private debt to accept a haircut. The deal could involve two unusual features, a person familiar with the negotiations says. Rather than taking all their pain upfront, creditors will swallow a 25 percent loss now, and dangle another 25 percent hit as a carrot once Grenada completes its IMF programme in 2017. Hence bondholders get to spread out their pain, and the later haircut will be ameliorated by more secure and valuable Grenadian debt. 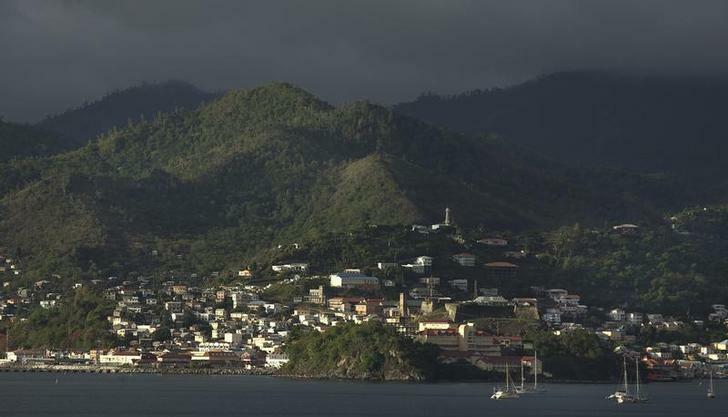 The deal has other idiosyncrasies: creditors may be offered warrants tied to Grenada’s revenue from its citizenship progamme, which allows foreigners to buy real estate on the tiny island in exchange for a donation and citizenship. Creditors will receive a slice of revenue once the government has hit a specific target – a variant on the GDP warrants used by Argentina. These tweaks are legally complex, and multilateral lenders may disapprove. Grenada’s restructuring was unusual in that creditors held a blocking position of over 75 percent of the debt, giving them greater leverage. Still, the deal looks sensible. When companies borrow too much, creditors can tip them into insolvency and seize their assets. It’s harder to force sovereigns to behave, and discourage serial defaulters. Warrants give creditors a share of the upside, similar to a corporate debt-for-equity swap. That model could make sense for other situations. Take Ukraine, which wants to force creditors to take a haircut, but whose war-torn situation and track record cast doubts over its ability to reform. Or Greece. Euro zone lenders have resisted a haircut, and as a result are now facing the risk of a disorderly exit. A phased and clear debt reduction might have helped Greece reform earlier. A view of St. George's in Grenada during sunset. Grenada and creditors holding $193 million of bonds are close to agreeing a restructuring, IFR reported on April 8. The deal will involve a 50 percent debt reduction, spread out in two installments, a person familiar with the negotiations says. It could also involve warrants tied to Grenada’s citizenship by investment programme, the person said. Grenada has been in arrears with private creditors since March 2013.